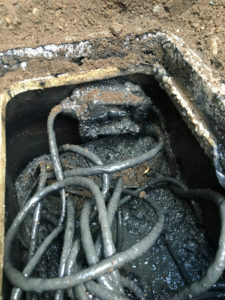 Are you experiencing a messy sewage backup in your property? Do not panic! Rely on VAC-TEC LLC for your emergency septic repair needs in Kirkland, WA. We are available 24/7 to restore your safety as well as peace of mind. Whether you are facing a problem with your residential, commercial or municipal septic system, we have got you covered. When you choose our emergency septic repair services in Kirkland, you choose a fast, friendly service every time. We use the latest equipment and methods, to repair septic tank correctly, the first time. After all, customer safety and satisfaction is paramount to us. No matter what time of the day or night the problem occurs, call our professionals for 24-hour emergency septic repair services. Need someone to pump out your septic tank fast? An emergency septic situation can wreak havoc on your property, so make sure to call our emergency septic pumping & cleaning specialists. We offer round-the-clock emergency septic pumping & cleaning services in Kirkland and the nearby communities. We are available for unexpected occurrences and last-minute septic needs. We ensure a high quality emergency septic pumping & cleaning service by using the latest tools and techniques, such as pipe video inspection, vacuum truck and hydro-jetting. Septic emergencies do not occur during regular business hours. That is why we are available 24/7 for emergency septic pumping & cleaning needs in Kirkland. If your septic system needs pumping or cleaning, we are the company to trust for a quality, long lasting job. For all commercial, municipal, residential systems, we offer emergency septic pumping & cleaning services at a fair and reasonable price. Our trained team listens to your concerns and determines the best possible solution for your needs. We can also develop a custom septic care and maintenance program for you to prevent the need for emergency septic pumping & cleaning in the future. Do not put off your septic system problems for too long, call VAC-TEC LLC immediately at (206) 339-0039 to discuss your emergency septic repair and pumping needs in Kirkland.